Such a splendid frame surrounding the festivities of our National day can only be boasted by Caslano as it is also brightened by the moon that reflects itself on the Ceresio. This idyllic setting provides an ideal background to taste the grilled meat and listen to the bands that entice all generations to dance the traditional “liscio” to rock and disco music. The National Day celebrations are always very appreciated by the inhabitants of Caslano and the neighbouring villages. Due to the rich prizes offered by the lottery organized by the Pro Caslano the draw is always awaited with great anxiety. 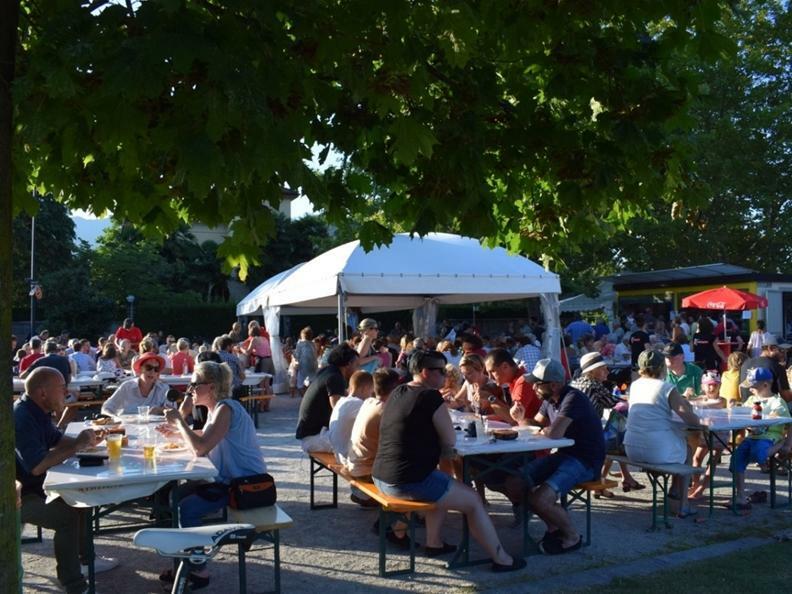 All participants who come to our “festas” once, always return because they are fascinated by the open space and all the other components that provide a different atmosphere to the “feste” by the lake.